Earlier this month, one of us visited a prominent U.S. medical school to give a lecture on the topic of burnout and how physicians can find more fulfillment in the practice of medicine. Sadly, that very day, a fourth-year medical student there took her own life. The problem was not personal failure. She had recently matched into a competitive residency program at the one of the nation’s most prestigious hospitals. Yet apparently, she still found the prospect of the life ahead more than she could bear. This is hardly an isolated incident. A study reported earlier this month at the annual meeting of the American Psychiatric Association revealed that among U.S. professionals, physicians have the highest suicide rate. According to the researchers, the suicide rate in medicine is more than twice that of the general population, resulting in at least one physician suicide per day in the U.S. In fact, the actual number is probably higher, as the stigma of suicide results in underreporting. The news gets even worse. There is good reason to think that when it comes to distress among physicians, suicide is only a particularly noticeable indicator of a much larger problem. For every physician who attempts suicide, many others are struggling with burnout and depression. 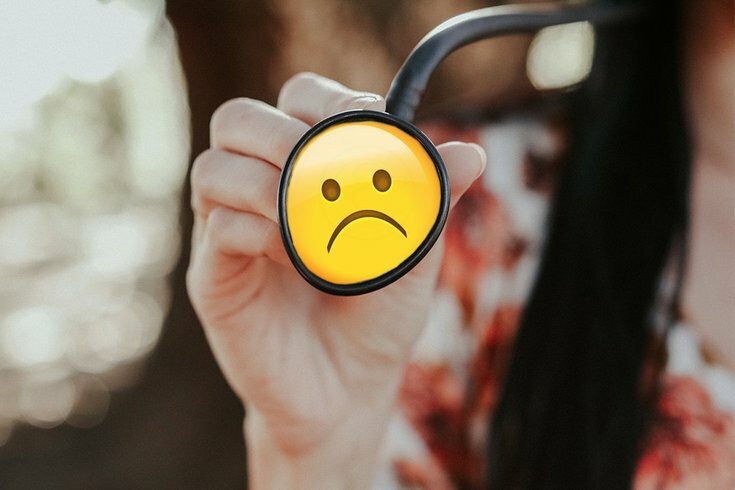 One recent survey found that 42 percent of U.S. physicians are burned out, with rates of 38 percent among men and 48 percent among women. Such distress manifests in other ways, such as alcoholism, substance abuse and poor patient care. From one point of view, these findings are not surprising. Medicine has long been recognized as a stressful profession, characterized by competitiveness, long hours and lack of sleep. Many physicians work each day with the knowledge that a mistake could lead to the death of a patient, as well as the frustration that, despite their best efforts, some patients will elect not to comply with medical recommendations and others, despite doing so, will still get sicker and die. And yet physicians seem to have much to be grateful for. Compared to Americans in other lines of work, they are highly educated and well compensated. They enjoy a relatively high level of respect and trust. And their work provides them with regular opportunities to make a difference in the lives of patients, families and communities. They are privileged to care for human beings in some of their most memorable moments, such as in birth and death, and they may occasionally save someone’s life. Why then might suicide rates among physicians be so high? While there are undoubtedly many factors, ranging from problems in the health care system to individual circumstances, the recent death of novelist Tom Wolfe at age 88 has inspired us to look at the problem from a different perspective. The author of numerous works of both fiction and nonfiction, Wolfe’s best-selling book was 1979’s “The Right Stuff,” which chronicled the early days of the U.S. space program. American test pilot Chuck Yeager in the cockpit of an NF-104 on Dec. 4, 1963. “The Right Stuff” is populated by two very different sets of heroes. 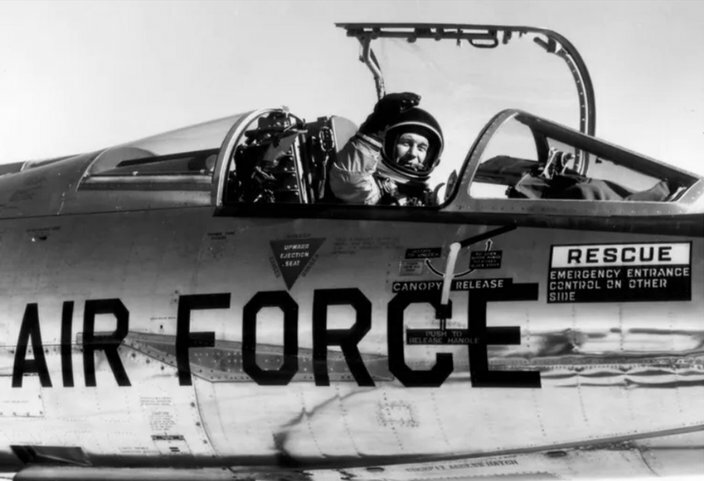 First there are the test pilots, represented by Chuck Yeager, a former flying ace who in 1947 became the first person to break the sound barrier during level flight in his X-1 rocket-powered jet. By Wolfe’s account, the test pilots were men of daring who regularly pushed the limits of human flight, placing themselves in hazardous situations where failure to respond to problems in a split-second could result in mission failure and even death. In his introduction to the 1983 edition, Wolfe reports a pilot mortality rate of 23 percent. During the 1950s, this translated into about one death per week. Through no choice of their own, the later Mercury astronauts were a very different breed, Wolfe found. Though many had experience as both combat and test pilots, their role in space exploration would resemble that of passengers more than pilots. For example, they were selected based less on their bravery, judgment or skill than on their ability to withstand a battery of grueling and sometimes humiliating tests that included nausea-inducing centrifuge rides and castor-oil enemas. In other words, the astronauts functioned less as test pilots than test subjects. The work of piloting the flights would largely be done by computers and ground control, and the astronauts’ role was largely to endure them. When it came to the design of the Mercury capsule, they had to fight for a window through which they could see where they were going, a hatch that they could open from the inside, and even minimal manual control over the rocket. 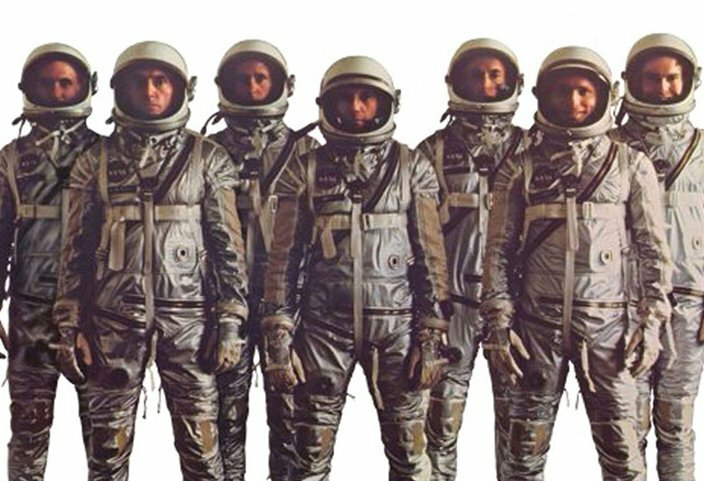 “The Right Stuff,” a 1983 film based on the book of the same name by Tom Wolfe, captures much of the frustration of the Mercury astronauts. PHYSICIANS: TEST PILOTS OR ASTRONAUTS? The contrast between pilots and astronauts captures nicely some of the disappointments and frustrations facing U.S. physicians. Having entered medicine believing that their own knowledge, compassion and experience would help make the difference between health and illness and even life and death for their patients, they have found themselves inhabiting a very different reality, one that often leaves them feeling more like passengers than pilots. Consider how physician performance is assessed. In the past, physicians sank or swam based on their professional reputations. Today, by contrast, the work of physicians tends to be evaluated by the quality of their documentation, their compliance with policies and procedures, the degree to which their clinical decision-making conforms to prescribed guidelines, and satisfaction scores. Over the past few decades, the physician has become less of a decision-maker and more of a decision implementer. Why is this discouraging? Just as only the test pilot knows what is happening in the cockpit from second to second, a physician is often the only health professional who gets to know patients as people, including each one’s particular needs and concerns. Being assessed by metrics promulgated by economists, policymakers and health care executives who have never met the patient gives the practice of medicine a hollow feel. Most physicians don’t want to be astronauts, hurtling uncontrollably into a health care future they cannot see. Instead they want to be pilots – professionals who exemplify why having eyes and ears on the patient is far more important than mastering a computer system or billing code. They don’t want to be astronauts, stuck in a can that dictates their every move and provides no opportunity to make the kind of difference for patients that generates personal challenge and growth. The situation is summed up nicely by a crayon drawing by a six-year-old patient we saw recently. Entitled, “My Visit to the Doctor,” it depicts a young patient seated on an examination table, facing the doctor. The doctor, however, is across the room at a desk, facing away from the patient, bent down over a computer into which he is entering data. The implicit message of this simple image? The computer is more important to the doctor than the patient. If we want to stem the tide of burnout, depression and suicide in medicine, we need to enable doctors to be good doctors – not mere “health care providers” – and to practice medicine in a way they can be proud of. We must allow and even encourage them not merely to manage health information but to care for human beings. Like the early astronauts, physicians, especially the best among them, cannot thrive if they remain relegated to the role of Ham the Astrochimp, America’s first chimpanzee astronaut.